It’s not your imagination—you’ve been hearing and reading a whole lot more about autism in the past few years. The reason is because the medical industry didn’t have a clue about the disease until quite recently. Which points to a heartbreaking fact: all of those youngsters who struggled with autism-related sensory problems over the previous decades and centuries were mistreated (in both senses of that word). They were punished for behavior they couldn’t control, the drugs they were prescribed often made things worse, and the hospitals and treatment centers were expensive, ineffective, and often hell holes for patients. We’ve come a long way, baby—very quickly. With the help of KiCam Projects, we put Aimee in touch with Barbara and Karl for this enlightening, quite touching interview. 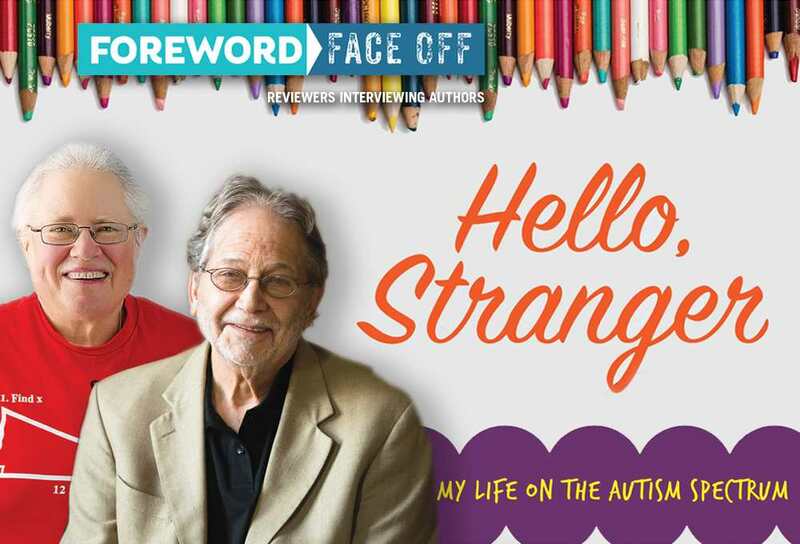 It has been many years since you experienced most of the events detailed in Hello, Stranger. What inspired you to get your story out there now? Barb: Hello, Stranger was one of my wishes for many years, but a lot of things had to happen to make it work. I was able to process a lot by working on the old manuscripts from around 2000 when Karl had done the interviews. I had to confront my anger issues and deal with all my false beliefs. Things I heard made me blame my parents for things they didn’t do. I had to learn a lot about the truth. It took years to realize that the reason my sensory problems got worse was because of medications prescribed that were meant to relieve anxiety but made it much worse. Getting to meet Karl Williams when I did gave me the opportunity to get help to write the book. To do so on my own was over my head. I did not have the patience. We were blessed to find a publisher about two years ago, and they gave us ideas on how to improve the manuscript. They helped us a lot by giving us good advice. Karl: KiCam and Jennifer Scroggins are responsible for getting Barb’s story “out there now.” Barb and I finished working on the book a while ago, but it often takes time to find a publisher interested in working with a story. Once KiCam took on Barb’s book, Jennifer introduced me to editor Erin Wood, who was great at suggesting improvements that would help Barb tell her story in the best way possible. What was the experience of working with a co-author like? Do you feel you two were able to tell the story best this way? What were the struggles and the benefits of writing a book this way? Barb: I’m thankful that I had a co-author. I wanted to write a book but did not have the skills or the patience. Karl had all the talent I didn’t and was able to interview me and create order out of chaos. He also had computer skills, which I didn’t. I have only been using email for about a year, and my dot com skills are at the beginner level. I get hung up on details, and it’s hard to organize—so many thoughts screaming “me first.” Karl was an English major in college because he loved literature, and he has written a couple of other as-told-to autobiographies, which I have read. I had a problem communicating, and that was one more reason I was misunderstood. Karl helped me to communicate. Without Karl, there’d be no book. He doesn’t realize HOW MUCH HIS HELP HAS BEEN WORTH. And he never charged me a dime. I can’t thank him enough! Karl: Barb and I got together and taped hours of conversation about her life. I took out all my words from the transcript and worked exclusively with what Barb said—so that she was able to tell her story in her own words. Of course, as I worked, back in Pennsylvania, I had more questions; and, what with all the phone calls, Barb and I got to be friends as well as co-authors. Today, children can be diagnosed with autism, and a myriad of other disorders, as young as two or three. You were diagnosed in your adulthood, Barb. Do you feel you would have had a more positive experience if you had received a diagnosis earlier in your life? Barb: If I could have had a diagnosis earlier it would have helped—but no one knew about sensory issues in the 1950s. What I needed was treatment that worked, and NONE WAS AVAILABLE. Menninger’s was considered the BEST place in the world, but they were not prepared to deal with autism. NO ONE ELSE WAS EITHER—ANYWHERE. Many people these days would be shocked to read about your experiences and to hear that you were institutionalized (at Menninger’s) so young and for so long. What differences do you see for children with autism between when you were a child and now? What further improvements to treatment do you think could be made? Barb: I’m not around kids with autism, so I don’t know what’s going on, but I believe they’re trying something other than medication now. At the present time, I’m not in any treatment program. No treatment ever worked for me except help from a naturopath in the 80s. I wish there was a treatment that would meet my current needs, but I have no idea what it would be. Some things I’ve just had to live with. BUT IT IS EASIER WHEN THERE ARE NO UNREALISTIC DEMANDS PUT ON ME. Getting out of the mental health system helped because the bad things could be stopped. I HOPE there is SOMETHING available that helps autistic children. Too many children are forced to take drugs by the mental health system. If they are drugging autistic children across the board, then many of them would be ruined and guaranteed to have no chance at a better life. Medications made me worse. If they’re avoiding medication to treat autism, I think that could help many to improve and lead productive independent lives. I think today the child’s own desires matter. When I was growing up, everything was available but what I wanted. Like being on a diet: you can have everything but what you like. I hope today there’s less emphasis on medication. It wipes out a lot of what’s positive and increases suffering. I think the mental health field is getting lazy. Changing the environment and other things should be tried—before they resort to medication. Karl: I don’t know much about this, but I asked someone who does. The biggest difference now is that we know what autism is, so the child is not tortured as much by people trying to control his/her behavior. And, because we can know so early that a child has autism, we can help them not to get trapped in their own world, unable to be with other people they could discover they’d like to be with. As far as treatments go, one is Applied Behavioral Analysis. ABA has replaced behavior modification, which often tried to change behavior with punishment. ABA uses positive reinforcement and often seeks to develop socially acceptable alternatives for aberrant behaviors. Overall the point now is to respect the child: you find out what the child’s interests are and use those to teach. 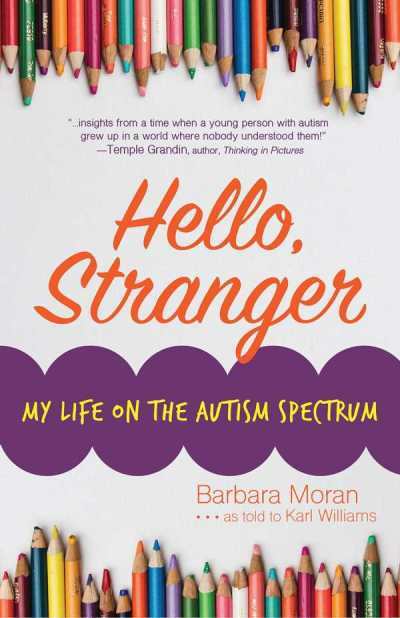 Hello, Stranger explores your perspective in a way that readers interested in learning more about autism will appreciate and that will help family members and medical professionals better understand the mind of an autistic person. Are there any books or other forms of media you feel portray autism accurately? Barb: I would recommend anything written by Temple Grandin or Gail Gillingham. They seem to understand autism. Also, at least one movie has been made about Temple Grandin. NeuroTribes: The Legacy of Autism and the Future of Neurodiversity by Steve Silberman, The Soul of Autism and Empowered Autism Parenting by William Stillman, Autism: Sensory-Movement Differences and Diversity by Martha R. Leary and Anne M. Donnellan, You’re Going to Love This Kid: Teaching Students with Autism in the Inclusive Classroom by Paula Kluth, PhD. Your book also mentions that you are an artist and enjoy drawing. What are your goals with your artwork? Barb: I just like to draw pictures of things I want to look at; I don’t usually think about goals. Karl: Over the years, I’ve heard Barb say that her art helps her to discover who she is, to express herself, to show her view of the world, to feel connected, and to be understood. Also, she’d like to make some money from her work.